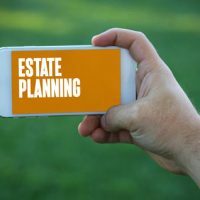 When it comes to estate planning, some items are easier left and devised than others. Physical objects like cars or money or collections may take thought as to where they will go, but once the decision is made the process is pretty straightforward. But one asset may take more significant planning when it comes to leaving it to relatives and beneficiaries: the devising of a business, particularly a smaller operator owned or run business. Planning to leave a business to someone else when you are gone can be complex, and there are things that should be considered sooner rather than later. The first consideration is whether there are any shareholder agreements, partnership agreements or operating documents, that may prevent a relative from owning or operating your business. In many cases, these documents allow other owners to buy out your relative, or even dissolve the company, in the event that your interest passes to someone else. Your business may operate under agreements, leases and contracts that require that you be the owner, especially if you are a personal guarantor of loans. Those agreements may actually consider your passing and devising to someone else, as a default within. Thus, you may be leaving a business that is subject to lawsuits and levy of property to your loved ones. You should consider whether or not your loved ones actually want to actively run and operate your business. In many cases, they may not. They may have the option to simply sell the business or their interest in it for whatever that interest is worth. Few people ever consider that relatives may fight over their estate or their assets, but if they do, or even if they don’t but creditors come calling, you may want to ensure that your business has been properly valuated by an accountant or business valuation expert. This will allow beneficiaries to know exactly what they are getting, and the value of what they are fighting for, if one should ensue. Valuation also could help you from an inheritance or estate tax standpoint. Although not everybody who inherits pays this tax, the value of what you are inheriting could make the difference between having to pay the tax or not. Thus, to be sure, a valuation should be done, particularly for larger businesses. In many smaller businesses, policies and procedures live in the head of the owner. But when the owner passes, that leaves the business directionless, and leaves beneficiaries with little guidance as to how to effectively own, operate and manage the business. Written and detailed policies and procedures aren’t just good practice, and aren’t just good for avoiding liability issues, but instead they ensure that your business can function without you there. Those policies will allow beneficiaries to run your business with the same effectiveness as you did. Plan ahead to make sure your business is protected and your relatives get the benefits of your hard work. Contact Tampa business attorney David Toback to discuss a comprehensive will and estate plan for your family.